Lajoie is hiring a part-time creative leatherworker. Deadline is FEBRUARY 5, 2018. Click here for details. Canada Council for the Arts is hiring a Vice-Chairperson. Deadline is FEBRUARY 14, 2018. Click here for details. A Montreal tech company is looking for an English-speaking Voice Artist. Click here to view the job posting and contact YES Montreal for more information on how to apply. Deadline is FEBRUARY 9, 2018. Repercussion Theatre – Shakespeare in the Park is hiring a Production Manager. Deadline is FEBRUARY 2, 2018. Click here for details. The Quebec Writers’ Federation is seeking writers to design and facilitate workshops for their “Writers in the Community” Program. Deadline is MARCH 1, 2018. Click here for details. Apply for Studio 303‘s summer residency. Priority given to emerging and mid-career artists. Click here for details. ELAN member Robert Snikkar is seeking artists to collaborate with for a multidisciplinary art exhibition on white privilege. If you would like to participate or if you have any questions, contact Robert Snikkar here – snikkar.paintings@gmail.com. Le Mile End s’articule is seeking submissions for their community arts festival. They are looking for projects, performances, workshops and activities revolving around this year’s theme of games, play, and sport. Deadline for submissions is MARCH 12, 2018. Click here for details. If you love to sing or have always wanted to sing, Sing! Ensemble is the group for you. Facilitated by ELAN Board Member Louise Campbell, Sing! Ensemble delves deep into song learning in many languages and traditions, vocal improvisation, song writing and more. Contact Louise at mlouisecampbell@gmail.com for more information. Atelier d’Art Métèque and Mariposa Café invite all musicians to participate in their upcoming event: Sing For The Birds. This competition will be part of a greater community event to raise awareness of the value birds have in our lives. Ten musicians will compete for three awards during a concert held at Métèque on MARCH 26, 2018, 6PM. Visit their website or contact info@meteque.ca for more information. Playwrights are invited to apply for the Gros Morne Playwrights’ Residency, which will take place on APRIL 9 – 21, 2018. The deadline to apply is FEBRUARY 9, 2018. This residency is provided by Playwrights’ Workshop Montreal and Le Centre des auteurs dramatiques, in partnership with Creative Gros Morne and the Cole Foundation. Click here for details. Articule is always seeking new compelling art projects. Why wait? Send them your submission. Click here for details. Atelier d’Art Métèque invites visual artists to submit their bird-related works for their upcoming exhibit For the Birds. This show will be part of a greater community event to raise awareness of the value birds have in our lives. The show will be held MARCH 22, 2018 at 5PM. Visit the Atelier d’Art Métèque website or contact info@meteque.ca for more information. The Quartier des Spectacles is calling for applications for an Artist Residency. The artist selected for this project will imagine, create and animate a group of garden gnomes custom designed for the particular world of Les Jardins Gamelin. Proposals must be submitted by 12PM on FEBRUARY, 26, 2018. Click here for details. Forest City Gallery is calling for submissions from artists and curators for their 2019-2020 programming year. Deadline is MARCH 15, 2018 at 5PM. Click here for details. fliQs queer film night is seeking short video and film submissions for their next event on February 5th from 8-10PM. Submit by FEBRUARY 4, 2018 to be eligible. More details on submission guidelines can be found here. Visit the Facebook event page to learn more about the upcoming film night. The 2018 CBC Nonfiction Prize is now open for submissions. Submit your original, unpublished work of nonfiction by FEBRUARY 28, 2018. Click here for details. Announcing the Vallum Chapbook Award 2018! Send your best original and unpublished poetry chapbook manuscript to Vallum by APRIL 30, 2018 for your chance to receive publication as a part of the Vallum Chapbook Series and a $300 prize. Click here for details. Centre culturel George Vanier is holding a workshop: Gravure – Introduction à la point-sèche (FR) by Anna Jane McIntyre on FEBRUARY 8 till MARCH 22, 2018 (6 sessions). Click here for more information. YES Montreal is offering a free workshop for artists: Jump Start Your Art & Financing Options. Learn about the support services that are available to artists through YES and other arts organizations, and get an overview of how you can finance your work. FEBRUARY 12, 2018 from 1:30 – 3:30 PM. FREE. Visit www.yesmontreal.ca for more information. Find more workshops hosted by YES here. The Savvy Sessions presents Accounting for Artists with Joel Fishbane. Learn the basics about the tax system, eligible artistic expenses, and the differences between the Quebec and Federal tax systems. There will be information on GST/QST, an overview of corporations, and the costs and benefits of being incorporated. FEBRUARY 24, 2018 from 1 – 4 PM. Career Labs presents Risk and Resilience: Living Artistically with Yourself and with Others. This workshop will be led by Jacob Wren and Moe Clark. Details to come. MARCH 7, 2018. The Savvy Sessions presents On Stage: Self Producing for theatre artists, with Jenn Quinn and Julie Tamiko Manning. Details to come. FEBRUARY 17, 2018 from 1-5PM. 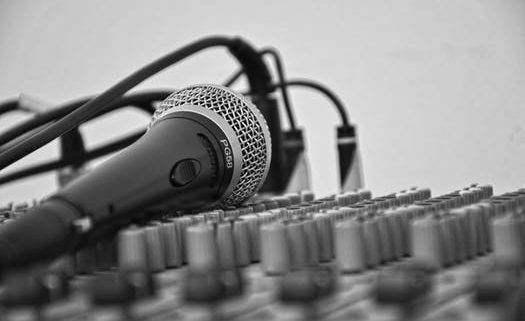 The Savvy Sessions presents Tune In: The Music Industry — Serious about taking your music career to the next level? Learn how with Bonsound’s Gourmet Délice and Jon Weisz of Indie Montreal. To register, email June Park at (junepark@quebec-elan.org) and book your spot now! FEBRUARY 4, 2018 in MONTREAL, QUEBEC. See the Facebook event here. The Intergenerational Workshop is looking for participants between the ages of 14-18 or over 65. Explore the techniques and materials of drawing, watercolour, printmaking, and multimedia. Collaborate to develop a story, and create a graphic novel or illustrated story in 10 weeks. The workshop will take place at the Pointe-St.-Charles Art School, dates and timing will be announced soon. This program is FREE. Please contact Kristina Urquhart to participate – kristina@pointestcharlesartschool.ca or 514-935-7107. The Pointe-St.-Charles Art School is hosting a new session titled Saving the Planet through Art: the History of Earth Art. The course will be part lecture on the history of the Earth Art movement from 1960 until today, and part earth work/action that the students create themselves. MONDAYS, MARCH 12 – APRIL 16, 7-9PM. Register here. The Pointe-St.-Charles Art School is hosting a free Mandala workshop on SUNDAY, MARCH 11, 3:30 – 5:30PM for Creative Arts Therapies Week. Register here. The Surplace Media Co-op is offering a writing workshop: Write like a Pro with Colleen Kimmett (4 sessions x 3 hrs). This workshop will guide participants through the stylistic and technical elements that make a great piece of writing. It will draw heavily from the art and craft of narrative non-fiction, but will be relevant for anyone who wants to communicate more effectively through the written word. 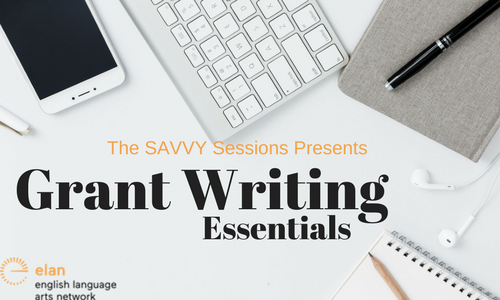 Over the course of the workshop, we’ll cover shaping ideas; planning and organizing material; elements of storytelling; wordcraft and style; finding your voice; tough-love editing; and, finally, putting your work out there. This workshop starts on FEBRUARY 6, 2018. ELAN Members get a 10% discount. Email us at admin@quebec-elan.org to learn how. Click here to register. The Quebec Writers’ Federation presents Less is More: The A to Z of Poetry Chapbooks. Join two current publishers, Jim Johnstone and Karen Schindler, for an overview of their chapbook work and small-press experiences. The workshop will focus on how line-ups are chosen, best practices for submissions, how revisions proceed between editor and author, book design and construction, marketing, and event planning. MARCH 19, 2018, 5-8PM. Click here for registration and additional information. ELAN is hiring a student Membership Assistant! Hey students, come give us a hand and get some hands-on experience in arts administration. Apply ASAP! https://quebec-elan.org/wp-content/uploads/2016/08/elan-final-logo-banner-1.png 0 0 ELAN Communications https://quebec-elan.org/wp-content/uploads/2016/08/elan-final-logo-banner-1.png ELAN Communications2018-01-12 22:54:492018-01-12 22:55:44ELAN is hiring a student Membership Assistant! Apply for Studio 303’s summer residency. Priority given to emerging and mid-career artists. Click here for details. If you love to sing or have always wanted to sing, Sing! Ensemble is the group for you. Facilitated by ELAN Member Louise Campbell, they delve deep into song learning in many languages and traditions, vocal improvisation, song writing and more. Contact Louise at mlouisecampbell@gmail.com for more information. Attention off Island artists and artisans! The 2018 Hudson & Region Studio Tour is seeking entries from visual artists. Application deadline is JANUARY 31st, 2018. Click here for details. CALQ (Le Conseil des arts et des lettres du Quebec) is hiring a Project Officer. Deadline is JANUARY 15, 2018. DAM (Diversité Artistique Montréal) is hiring a Project Coordinator Assistant. Deadline is JANUARY 22, 2018. ELAN is hiring a Student Membership Assistant (paid internship). This position begins on JANUARY 29, 2018 and ends on MARCH 30, 2018. Find details here. L’école Supérieure de Ballet du Quebec is hiring a temporary Office Clerk. Deadline is JANUARY 12, 2018. Telefilm Canada is seeking an Executive Director to join its team. This is a full-time position that requires some national and international travel. Deadline to apply is JANUARY 22, 2018. Find details here. Geordie Productions is hiring a School Liaison. Deadline is JANUARY 19, 2018. Find details here. West Island Theatre Association (WISTA) is currently seeking Costume, Props, and Lighting Designers for their JUNE, 2018 production of The Addams Family. If interested, please submit your CV to info@WISTA.ca by JANUARY 31, 2018! Click here for details. Repercussion Theatre – Shakespeare in the Park is hiring a Production Manager. Deadline is FEBRUARY 2nd, 2018. Click here for details.